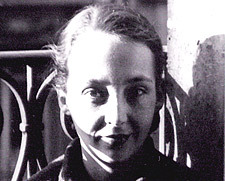 Marguerite Duras (1914-1996) - best-known as the author of The Lover and for the screenplay for Hiroshima, Mon Amour (the classic 1960 New Wave film directed by Alain Resnais) - was one of the most prolific, controversial, and renowned cultural figures in post-war France. Between 1943 (when she published her first book) and 1995 (when she published her last - That's All), Duras directed 19 films and wrote more than 70 novels, plays, movies and adaptations. 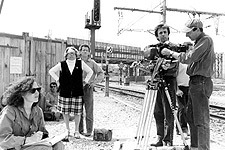 A friend of Duras, Dominique Auvray was also the editor of three of her films: Baxter, Vera Baxter (1976), Le Camion (1977) and Le Navire Night (1978). Given access to an amazing breadth of archival materials, photographs, television interviews, extracts from Duras' films, and home movies from the 1950's through the 1990's, Auvray has crafted a personal portrait of the woman. Speaking about her youth and family, Duras discusses her mother and brothers in Indochina and their transposition in Un Barrage Contre Le Pacifique. She also describes her move to Paris to study at the Sorbonne, her loves and friendships there (the famous Rue Saint-Benoit group of 50's Paris, with Robert Antelme, her first husband, Dyonis Mascolo, the father of her son, Edgar Morin, Claude Roy, and many others). Duras also speaks of her work, her political engagements, and social commitments. And we see her directing a rehearsal of Savannah Bay with Bulle Ogier and Madeleine Renaud in 1984, and on the set of Agatha (1981) and Nathalie Granger (1972), which was shot in her own home. Throughout the film Marguerite Duras goes from pain to joy, from the serious to the anecdotal, with lightning speed. As it moves along with the years, themes and locations of her life, MARGUERITE, A REFLECTION OF HERSELF becomes a moving portrait of a complex woman, mother, journalist, militant, friend, filmmaker and writer.